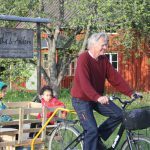 We have simple bikes that you may borrow free of charge to go on excursions in Tiveden, in your own pace and without a car. Vitsand, a beautiful beach in the middle of the Tiveden national park is only 5 kilometers from our farm. 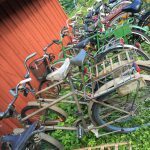 You will avoid the crowdy parking places and can enjoy the silence the whole way on a bike trail, Lilla Kungsleden, through the forest. See map. 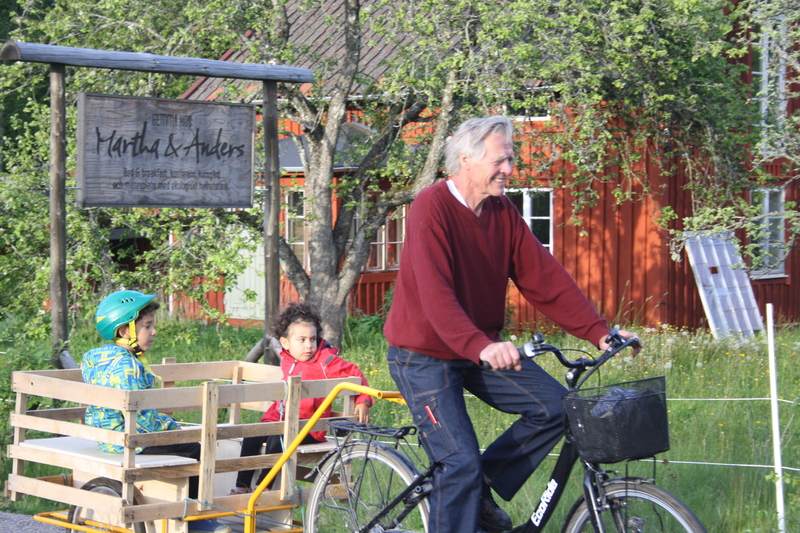 Tivedens Mat – a very popular local restaurant in Skeppshult – is only 7 km south of us, 15 minutes by bike. The local grocery store, Tiveds Lanthandel, in the village Sannerud, is 3 km north of us and there you can also visit Tiveds Kafferosteri & Café. 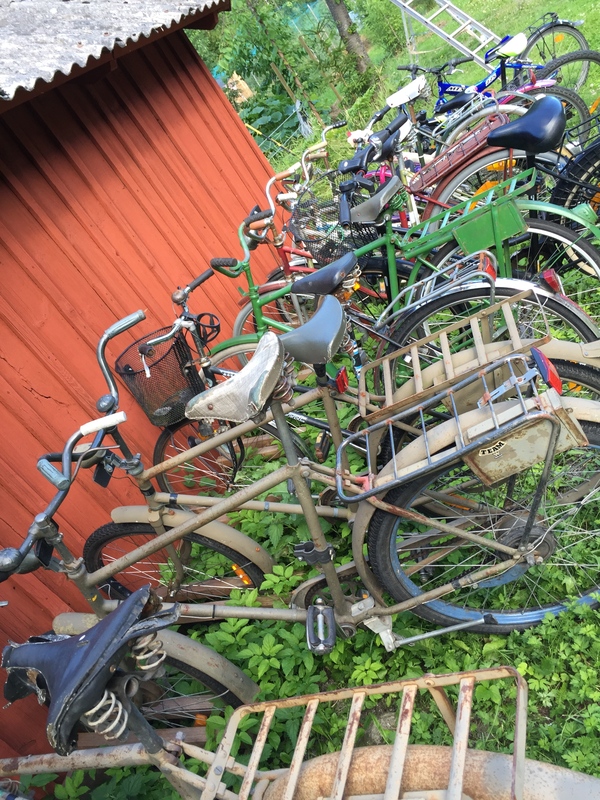 Bikes to borrow come in different shapes and sizes.